I just stayed the same. Now I carry a cane. 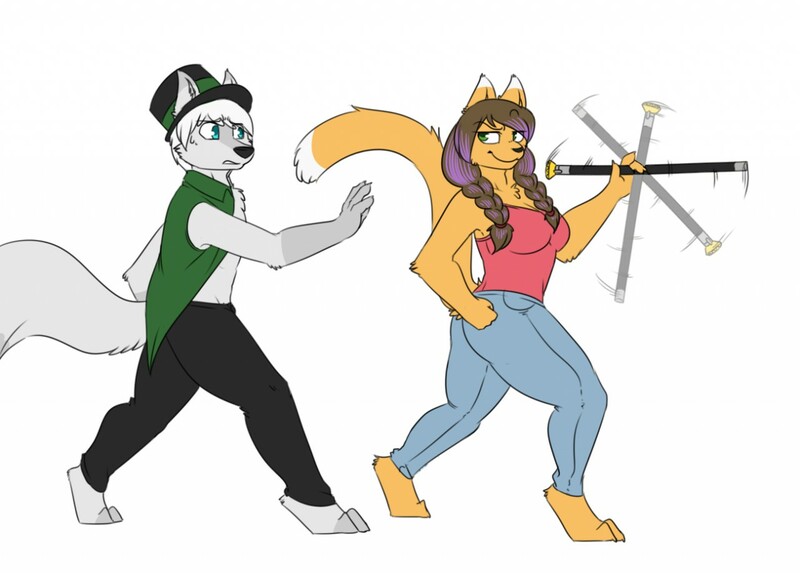 Cat is showing off her cane twirling skills with Dark's cane, Dark looking on with some slight worry. Nothing bad could come of this, right... right?! ?